JR Jewelers is the largest online retailer of Danhov engagement rings. We carry the largest selection of Danhov engagement rings at the lowest prices guaranteed. Danhov engagement rings are custom made to order. Danhov engagement rings are also handmade t perfectly fit your unique diamond size and shape. JR Jewelers is an exclusive Danhov retailer. Founded in 1984, the Danhov company has built a longstanding reputation for offering absolutely stunning, haute couture designer engagement rings. When you become accustomed with the elegant, ethereal style that’s used by Danhov’s designers, you’ll be able to spot a Danhov engagement ring immediately. JR Jewelers has been the Danhov jewelry expert serving people in the United States and Internationally specializing in Danhov engagement rings. You’ll love the quality and selection of fine jewelry the Danhov engagement ring line has to choose from. Danhov designer engagement rings are suitable for practically any kind of person. Many times, Danhov rings offer nature-inspired curves or minimalist lines. They’re vibrant and alive — just like your love for your special someone. At JR Jewelers, we can help you pick out the right Danhov engagement ring, whether you shop with us in our store or online. 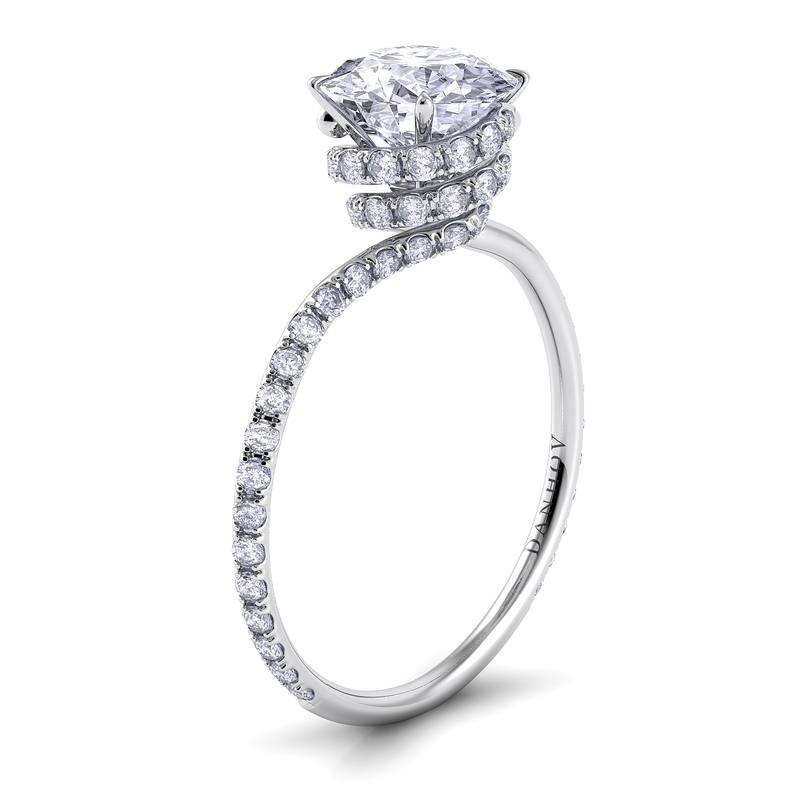 Our goal is for you to get the right engagement ring for your proposal. The Danhov line of fine jewelry engagement rings available at JR Jewelers resonates with many of our customers. If you’re new to purchasing designer jewelry for special occasions, you’ll want to take your time and browse through the collection. That way, you’ll be able to make your decision with confidence. Remember that any purchase you make from us comes with a 30-day money back guarantee if you aren’t satisfied. It’s one more reason to put your trust in JR Jewelers.